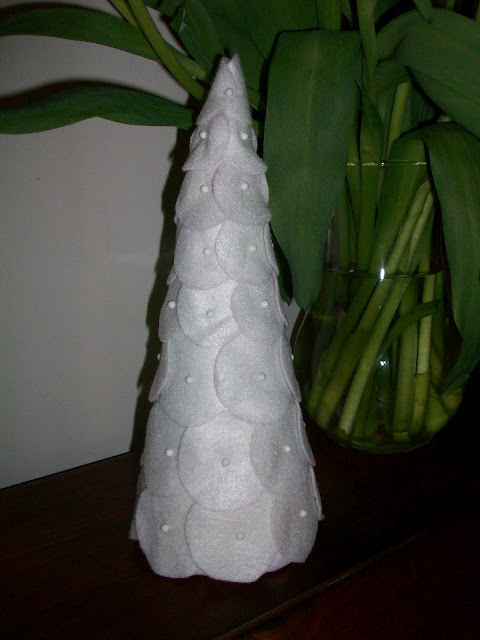 the felt trees tutorial is by janice of scissor variations and is also pinned to my winter wonderland board on pinterest. 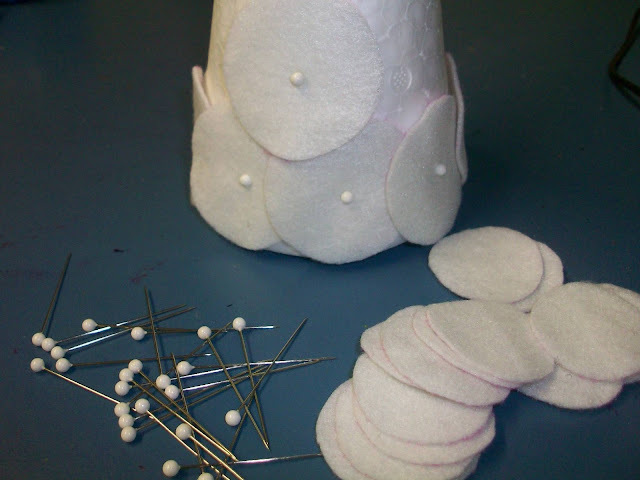 to complete the project you need a polystyrene cone, felt, a template to trace around for the circles, and some pins. the tutorial only uses one size of circle, i used two. the larger 2" circle for the bottom three rows and a 1.5" circle for the top of the cone. 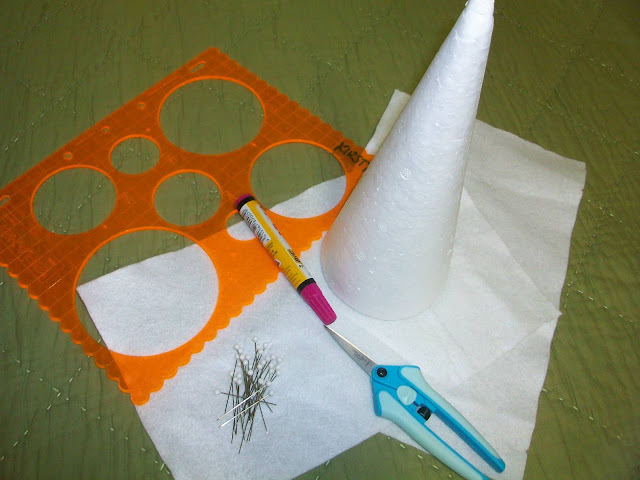 i found about half way up the smaller circles looked and moulded to the cone much easier than the larger ones. 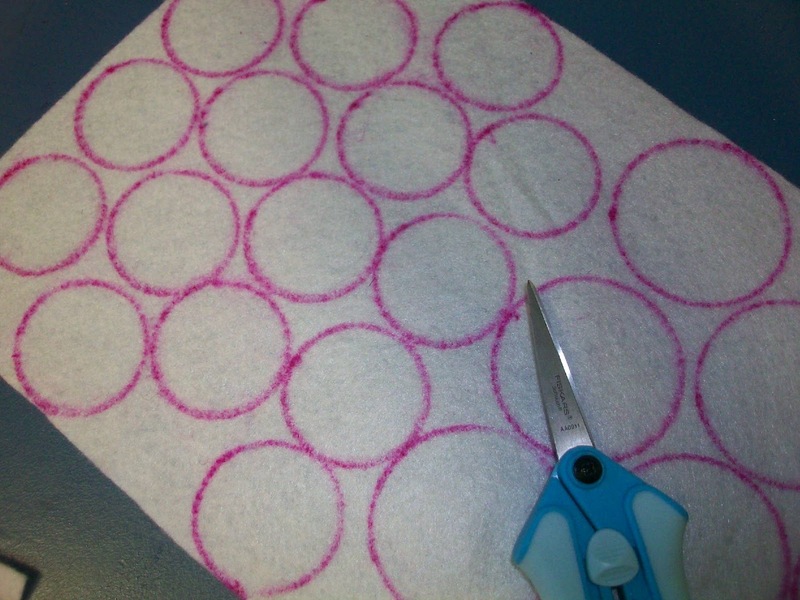 once you have all the circles cut out you layer them like shingles all the way to the top. outcome: really cute, i just need two more cones to have a set of three ... one is just not enough! 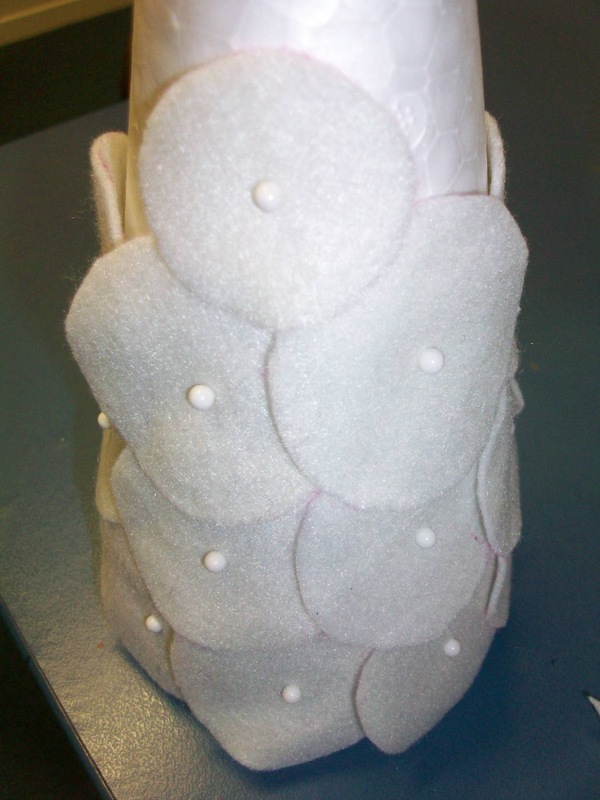 it was really easy to make, a little time consuming with all the cutting but totally worth it for the finished article. The felt circles are so effective and wintery, love how they overlap. 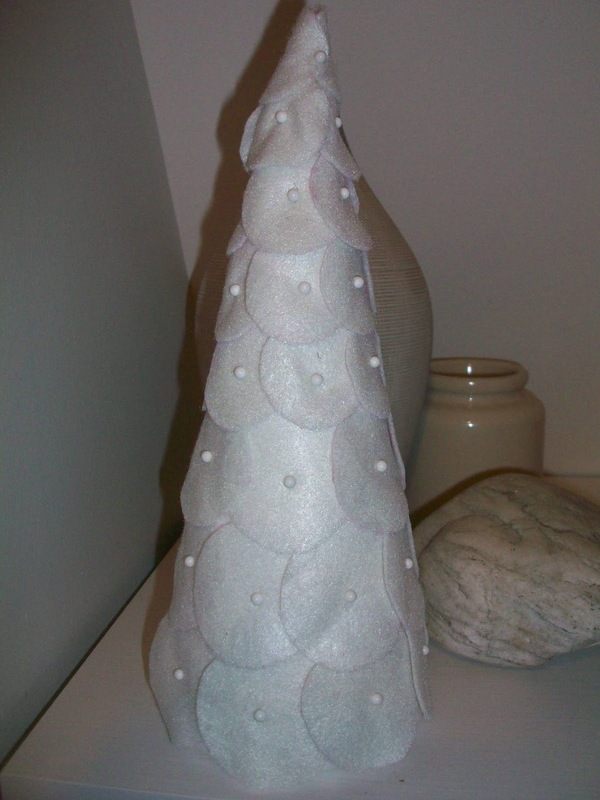 Great decoration for christmas time in the northern hemisphere! !